Blend of 2.75 billion bacteria per serving. 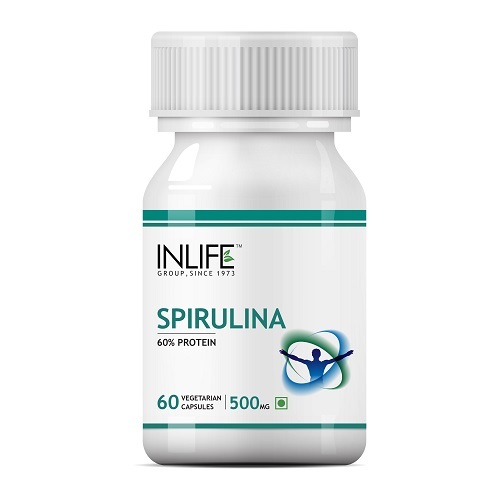 Supports healthy digestive function. Pre & Probiotic formula for optimum nutrition. Helps in maintaining gut flora balance. 60 capsules per pack. 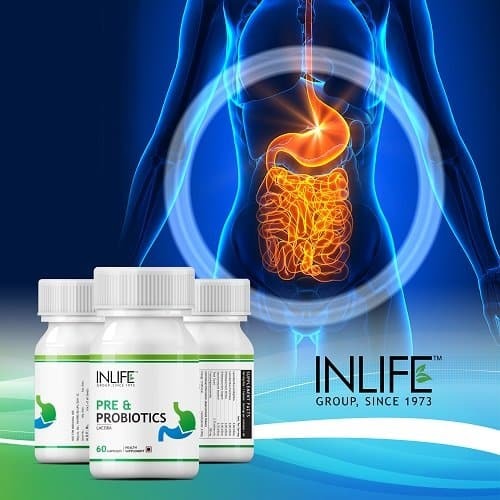 Pre & Probiotics assist in the proper functioning of the human Gut which is a part of the gastrointestinal tract. They both play an important role as they help in the food digestion process. Poor digestion can not only be a burden to the individuals but also can affect the whole healthcare system on whole. So it’s essential to have a the required Probiotics and Prebiotics for our body to function efficiently. Helps in cure and prevention of eczema in children. Also fight illnesses that are food borne. Help in proper functioning of the gut. Reduces the risk of weight gain and obesity. Probiotics are basically the good bacteria that can benefit your health. Consuming and have the correct Probiotic level will help in get back the natural balance of your intestine or Gut. They help in preventing and treating Diarrhea and its severe condition. As Per the study it’s been found that they can lower the risk of Diarrhea by 8% when it comes to the travellers. It can also reduce the risk of Diarrhea by 57% in children and by 26% in Adults.Having a proper dosage of Probiotics Supplements can help your health improve. They also help in improving the mental condition as well. A study has found that having proper intake of these can actually help to improve the mental disorder and other mental conditions. Some of the Probiotic strains can help in having a healthy heart by reducing the bad LDL.It helps in lowering the bad Cholesterol and blood pressure. They can also help in reducing the symptoms of Digestive Disorder and improve your health overall. They help in loosing the body weight and reduce the belly fat as well. With a proper dosage Prebiotic , the body absorbsincreases with regard to Calcium and Magnesium. They help in strong bones and increases your bone density as well. They Enhance and strengthen the overall Immune system. With Prebiotics hormonal changes are improvised with which you will have better control over weight and appetite. They help in reducing the Anxiety levels. They assist in reducing the abnormal bacterial leakage through the gut wall called as ‘leaky gut syndrome’. They help in reducing the intestinal infections as well. 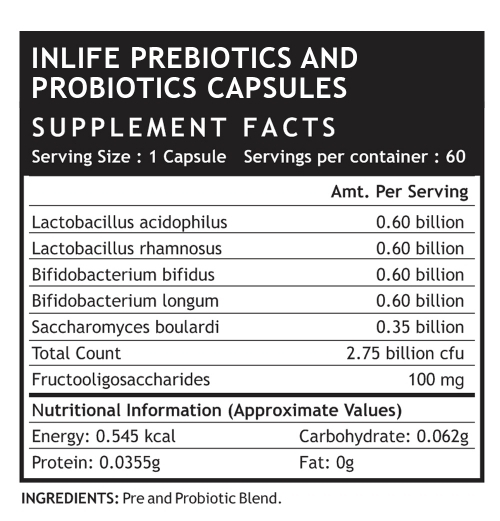 With increasing health and digestive issues, much focus is on Probiotics and Prebiotics intake. 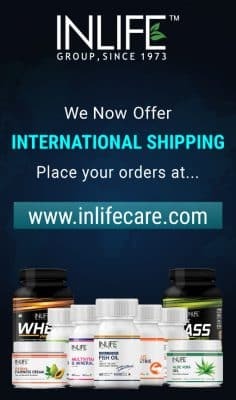 Since people are busy and with no time to have a balanced diet keeping all the health factors into consideration, many of the people are going for supplements which are useful and in no way harmful to the body. We get Probiotic and Prebiotic combination capsules in the market which can work the best for you in terms of your health. 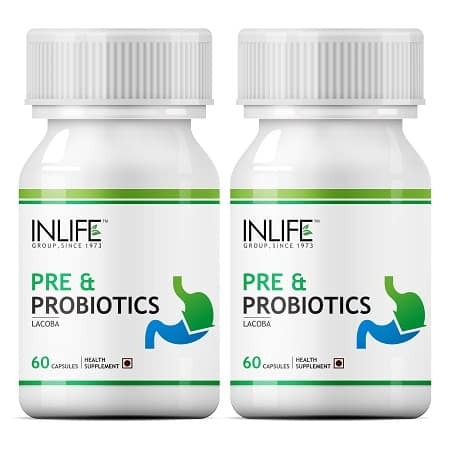 INLIFE™ Prebiotics and Probiotics Supplement (60 Capsules) contains Lactobacillus acidophilus,Lactobacillus rhamnosus, Bifidobacterium bifidus, Bifidobacterium longum, Saccharomyces boulardii, Fructo Oligosaccharides that helps in boosting your health. They have the blend of 2.75 billion bacteria. Usage: The product is suitable for all the genders. You can have 1 capsule twice a day after food or as suggested by your healthcare professional. Iam taking for digestion concern feeling little better. Regular health supplement im satisfied so ordering again. All are really good ,especially prebiotic is very good as it streamlined my digestion concern. I m consuming for digestion finds better now. I’m consuming for indigestion ok with it. product is OK I’m satisfied with the results. I am taking as a supplement as was on antibiotics for past 4 years to gain some good bacteria. I am ok with the results was taking for digestion concern and improved. I’m giving for my 5 years child for good gut flora and bacteria was taking grape seed for general health .they are all nice product working well. For energy metabolism and suggested my mom to take them .I’m finding them good. I was talking them daily for digestion concern It helped me a lot nice product. 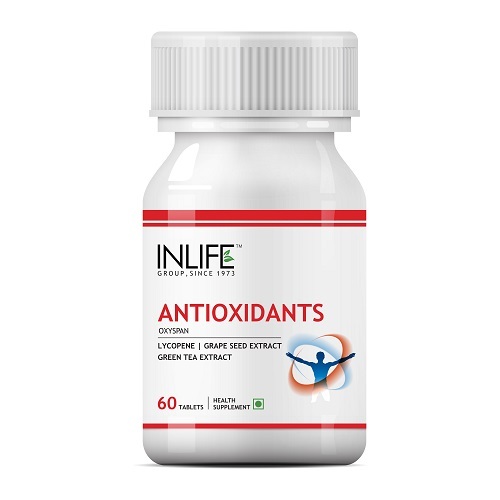 I have repurchased it as was an excellent result for acidity will continue consuming ,Thanks to INLIFE. I’m giving it to my 5 years child for good gut flora and bacteria and I am taking grape seed for general health .they are all nice product working well. It is a good product.. 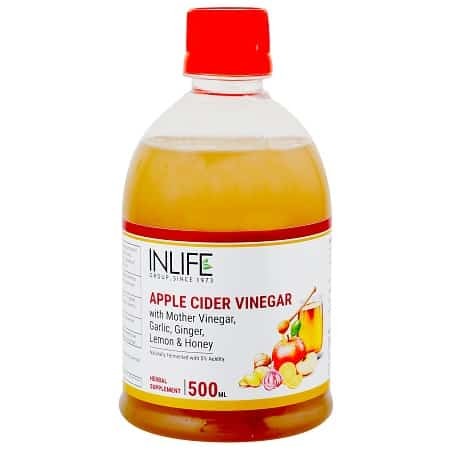 Excellent result for acidity will continue consuming ,thanks INLIFE. I am taking as a an probiotic and I’m totally satisfied. i want 1 more bottle taking this for IBS and its working good. 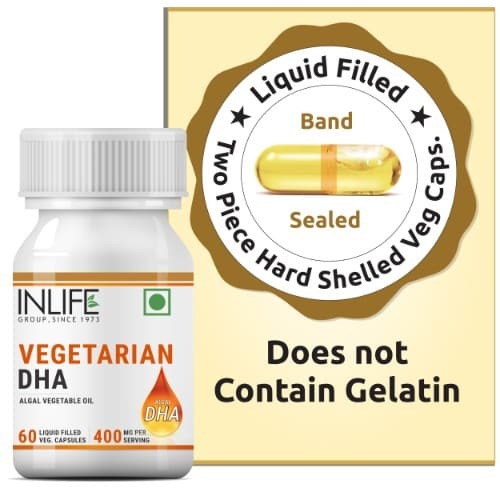 i used to take a high protein diet for body building which resulted me in constipation hence i bought your supplement and it has helped me a lot. i like your product very much. its a very awesome product. I have used it for 2 months and it was good. my gut immunity is not so strong hence i have ordered i was taking 1 cap daily and it is going good. Certainly giving better results that’s why I’m continuing ? it is working for my indigestion issues. it feels good after using the product. 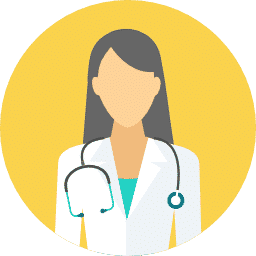 Iam a doctor my self using for IBS concern unknown abdomen pain was taking as suggested by my friend and pretty much happy with the results can give 5/5 rating. I was taking for gastritis and bloating problem and finding results too in a 2 week . 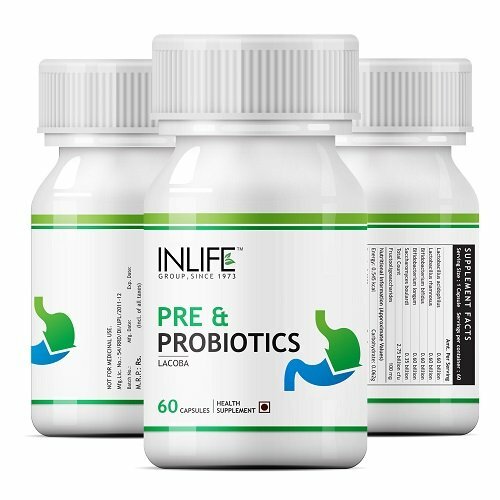 i request the seller to manufacture INLIFE™ Prebiotics and Probiotics Supplement (60 Capsules) for a higher dose as well as for the people who has severe IBS problem to take control ..
i am using INLIFE™ Prebiotics and Probiotics Supplement (60 Capsules) from last one year and best product and IBS .. then all tablets .. I have prescribed this Pre & Probiotics to many of my patients suffering from Gastrointestinal problem such as Acidity, burps,diarrhoea, constipation etc and 100% of them got significant result within a month..
Must recommended for patients with Gastrointestinal problem. 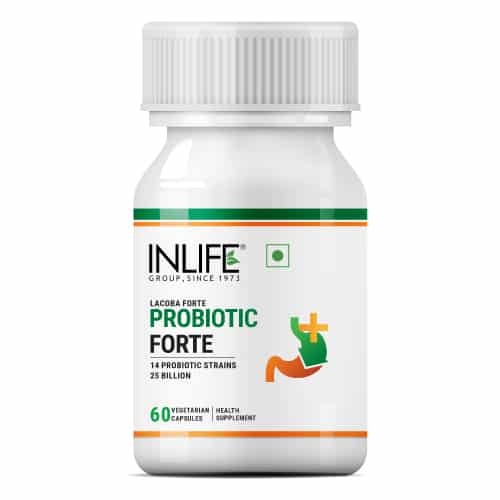 My digestion was very disturbed and was having lot of acidity issue after using Pre and probiotic with the meal.I am feeling much better and relived. I use multivitamins tablets, pre n pro bio-tics since 2 years. Biotic after taking 4 months regularly I 100 % fights the gas disorder. Muktajee is a millennium friend of mine. 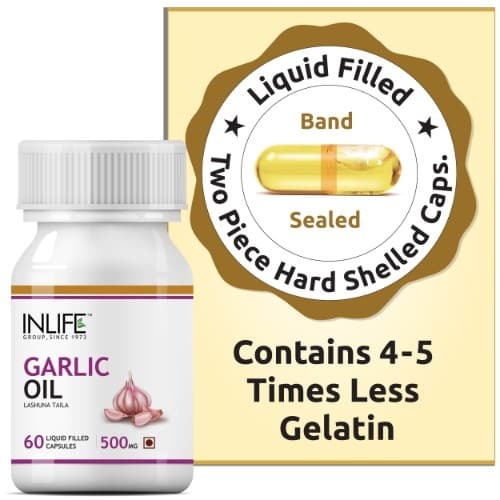 She suggests for any physical problem like sleeping disorders, gastro,gout’s, etc and it works after adhering his medicine like pre n pro, multi vitamin. I was in horrible condition when as a player unable to weight exercise 2 years back due to vomiting anything when eat. So from 2011 to 2013 I even unable to weight 16 pound fumbles but due to INLIFE this year I was 4th in national arm wrestling competition in uttrakhand, now my anxiety n depression has been zero. Michael Phelps who never fights with anxiety disorder but due to INLIFE n muktajee I fight this problem. No side effect n awesome price. 100% guaranteed medicine. Inlife n madam change my life. Today I am fit n fine at 39 due to them. On this day they are real teachers for me. Happy teachers day to muktajee n INLIFE. 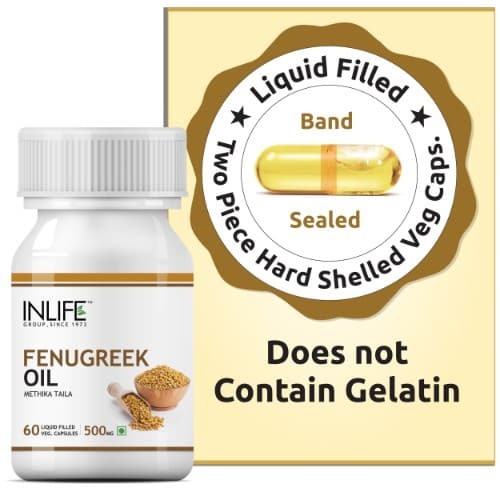 I bought this product for my mother as I myself a health care practitioner , she suffered from gastrointestinal problems and all day fatigue and weakness , after using this for 10 days only she has witnessed beneficial results..Waiting for the two months to complete.. It is nearly a month that I started using this product and I am highly satisfied with the results. Thanks INLIFE!!! I was suffering from Stool incontinence and now I can say that my problem got resolved completely I am satisfied. I was suffering with IBS before starting these supplements. 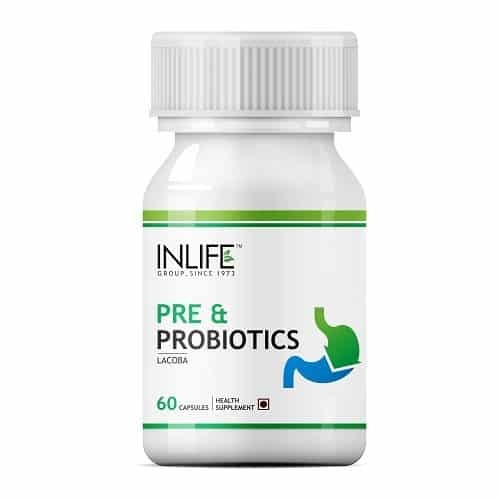 I can say that 50-60% of my problem got resolved after using Pre and Probiotics. 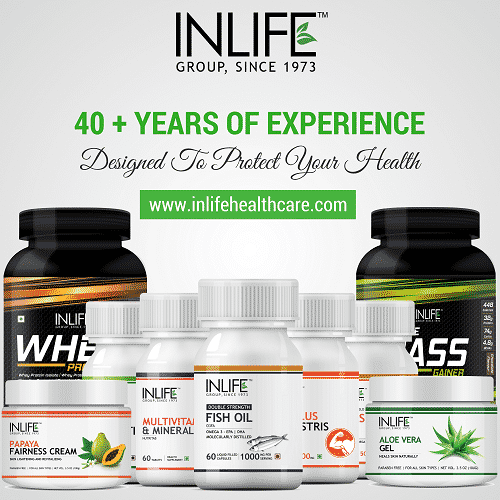 My dad was suffering from gluten intolerance and hence whenever he used to have any wheat item his stamach cramps use to start and we were very disturbed because it is difficult to stay away from wheat.Then we started INLIFE Pre and Probiotics with him and we could see the visible change in his pains and now he can tolerate wheat to a certain extent. It is the best health supplement for the digestive problem & IBS. 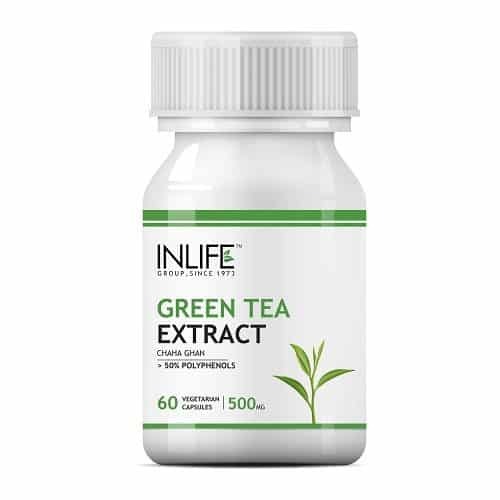 I am very happy with this supplement and it is working great for my IBS problem.I can say that i have got 60% relief from the problem. I am using this product since two months and I can say that it is really very effective.I am a IBS patient and hence I use to face lot of difficulties in my routine life.But because of this product my frequency is reduced and I am really happy. After using this pre and probiotics my digestive system has improved a lot.quality and result of INLIFE is much better. I am very happy using it and will continue the same. I was suffering from acidity problem since quite a long time.After consuming this product my problem has reduced drastically and hence I am really liking this product a lot. I’m a food lover to be very frank. Especially in the evenings I always used to have fast food. After taking Inlife Pre & Probiotics, my cravings for fast food got reduced to a great extent. I’m happy after taking this product, and recommend everyone to try this. It not only improves your digestion but also controls the hormonal cravings. Wonderful product. After using this pre and probiotics my digestive system has improved a lot. 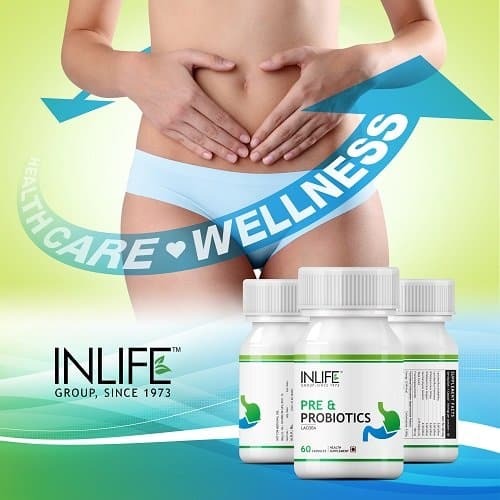 Earlier I was using some other pre and probiotics but I can say that quality and result of INLIFE is much better. I am very happy using it and will continue the same. This product is very good. I can feel improvement in my digestion after using this. I am using this product from past 2 months. I am satisfied with this product. I was suffering from IBS. After using this product I got some relief with this problem. Before I used to feel heavy after having my meals. Now I can feel improvement in my digestion and got relief from constipation problems. It’s a good product and i am satisfied with it. I have started using it. There are no defects. probiotics….good immune boosters and I recovered fast after my surgery …Thanks to these caps…they worked for me..